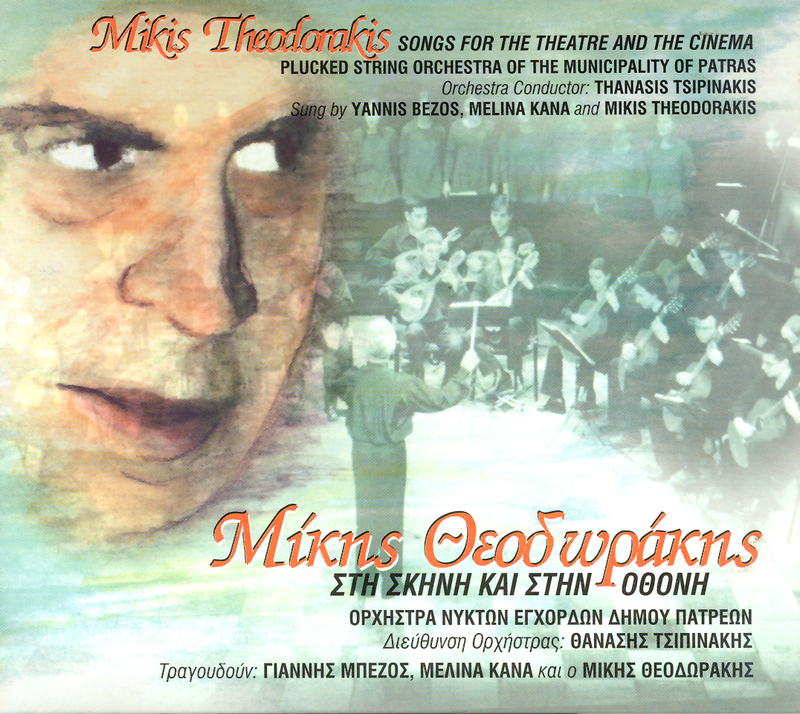 This CD contains a “different” approach of songs from the cinema and the theatre composed by Mikis Theodorakis, the great Greek composer. The songs are performed by the Plucked String Orchestra of the Munucipality of Patras conducted by Thanasis Tsipinakis. Famous songs that have been loved by the audience all over the world like “An thimithis toniro mou”, “Aprilis” and others interpreted by the actor Yiannis Bezos, the singer Melina Kana and the composer himself.